Here is a short history of chess in the Barrington area. In 1998 Rishi Seth, a fourth-grader who has just won a national chess tournament, asks Dr. Cindy Kalogeropolous if he can start a chess club at the Grove Avenue School where she is Principal. The Grove Avenue Chess club is born, beginning a chess newsletter as well as playing chess and volunteering to teach chess. Rishi observed that his fellow club members enjoyed learning about the history and geography of chess and so he introduced Grandmaster Presentations every week for each student. Soon students began relishing the leadership through public speaking. Rishi realized that the adult parents and grandparent helpers loved learning chess. So soon afterwards he asked the Nursing Home Director (Mr Richard Rimkus) across the street from his school if his chess club could come and teach chess after school. A relationship is established and 50 youth volunteers teach and interact with residents at the Nursing Home. Students raise $500 for chess sets for Grove. Rishi establishes a chess education program combining it with service and philanthropy. Rishi Sethi asks his teacher Mr Marc Moeller if he can start a chess club at his middle school. Rishi launches a chess club at Prairie Middle School. Parents and chess students continue the activities started at Grove Avenue School, playing, teaching chess and continuing to volunteer at a local nursing home where an elderly talented chess player is found. An active summer volunteer program is formed where middle school and elementary students continue to interact with residents at the home. Rishi direct over 50 students in this program. Local chess players begin competing in chess tournaments in the Chicago and nearby cities. A beginners’ chess tournament is held at Whole Foods grocery store in Barrington. Rishi Sethi asks the store to donate money and space for the tournament. Money from tournament buys chess sets for Barrington. 50 students compete at this tournament and 20 volunteers including grandparents, VP of Whole Foods and students help out. $500 raised for chess sets. In the summer of 2002 Rishi and his grandfather volunteer to teach chess at the South East Asia Refuge Center in Chicago to children who are new immigrants and speak little English. His sister was a volunteer teacher for the summer at the center and she invited Rishi and his Grandpa to teach chess to her students. In August 2002, the Governors Park Nursing Home Chess Tournament is held in Barrington, money and space donated by the nursing home. Fifteen chess students volunteer with Rishi at the Tournament where 50 students compete. In November 2002, the Sherman Hospital Chess Tournament is held, money and space donated by the Elgin hospital. $ 1000 donated for the new BHS Chess Club from money raised at the tournament. Rishi and ten fellow chess players act as assistant Tournament Directors. BHS teacher Mr Condren and 10 parents volunteer as well. Feb 2003, the first Barrington High School Chess Tournament is held. 70 students compete at the tournament with Rishi as a tournament director and 10 parents and 10 students helping. $1000 raised for the BHS chess club. In April 2003, Rishi Sethi, now a Barrington High School student, is certified as a Tournament Director for the US Chess Foundation. In May 2003, the first grandmaster simultaneous chess match is held at Barrington High School, 50 students challenging GM Pavel Blatny from the Czech Republic. $ 400 donated to buy chess sets for underprivileged schools after paying for expenses. 20 parents and students volunteer to host this historic event. May 2003, Rishi Sethi and other chess friends serve as Tournament Director for a chess tournament at Grove Avenue School. Chess Players and Rishi occasionally volunteered at his old school in order to help with any problems in the club. 10 parents volunteer too. August 2003 another tournament is held at the nursing home. $700 raised from the tournament donated for chess clubs for needy schools. During summer, 2003, a chess art exhibit is held in collaboration between the Barrington Area Art Council and the BHS Chess Club. In November 2003, the Heifer International Chess Tournament is held, several chess students volunteer at this event and the money collected donated to charity. ($1500 donated) twenty community members and 10 students volunteer. 5 chess sets worth $60 are secured for donation to the Spina Bifida Foundation with the idea of promoting chess among children in wheelchairs. 2004 The BHS Chess Club publishes a chess newspaper, “The Chess Revolution,” Logan Fry and Rishi Sethi are editors under the guidance of Teacher Jeff Doles. In January 2004, the BHS Chess Club secures a donation of 20 chess sets (cost $400) for children in the Marshall Islands, located in the Pacific Ocean, with the purpose of starting a chess club there in the local school, this being done through a program run by Dartmouth College in New Hampshire and the BHS Chess Club. (Donation of 240$ given by Mr Stevan Yacktman and $ 200 from Alexian Brothers Hospital Network.) Nina Sethi, a volunteer through Dartmouth College runs the club. BHS Chess Club organized Countryside Elementary School chess club in Barrington, 10 high school students volunteer as teachers and serve as role models for the elementary students. Parents including fathers help out at the club. Rishi organizes the curriculum. Barrington High School Chess team is the Mid Suburban League Champion. Rishi invites GM Shulman to visit the Countryside Chess Club, which has 72 members. Countryside chess tournament is held, with Rishi Sethi and Patrick Lacey as tournament directors and several students and parents volunteer at the event. $2000 raised for the club. In June 2004, Grandmaster Yury Shulman is invited to Countryside where a blind chess match is held between Mr. Shulman and two Countryside students. GM Shulman organizes The Grandmaster Chess Camp at BHS, and the BHS Chess Club and GM Yury Shulman donate $150 to the International Charity, Food Resource Bank. Rishi Sethi from BHS wins 9th place at the US Junior Open Chess Tournament in Kansas. 2 high school students, Patrick Lacey and Rishi Sethi, receive a Presidential Service Award for their volunteer work in the community for promoting chess. They were awarded medals for volunteering over 100 hours for chess related activities every year. Mrs Karen Armstrong, a community leader supporting the chess program, donates an outdoor chess table to Grove Avenue Elementary School. Work done by Bertacchi Builders at cost for the school and chess program. Total cost approximately 1200$ donated by sponsors. 4 chess sets worth $48 are donated to the Elgin Crisis Center, and a chess program is started there. Rishi and his friend David Kniesel volunteer to teach and explain the rules. Local businessman, Mr. Camacho hears of the Barrington Chess Club combining philanthropy with learning and invites the BHS Chess Club to teach chess at an orphanage in Mexico. Countryside Chess Club has six high school students volunteer as chess coaches. Parents volunteered to help the student coaches. BHS chess team wins the MSL championship for the second year in a row. 2nd Countryside Chess Tournament is held. Seven fathers act as assistant tournament directors for High School Chess Students.$ 1000 donated from Countryside Chess Program to Countryside school for an outdoor chess table for handicapped students who can play chess in wheelchairs during recess. 10 students volunteer with Rishi as Tournament Director. BHS chess team wins ninth place in the Illinois State Tournament in Peoria amongst 125 teams. From March 19 through March 25, 2005, 10 members of the BHS chess club and 10 parents participate in a Spring Mission Trip to the Don Bosco Orphanage in Leon, Mexico. Chess club raised $4000 for airfare and hotel expenses. 100 chess sets donated to the orphanage and students volunteer to do a exhibition match for the local Rotary Club. $700 donated for wheelchairs for handicapped kids. BHS Mission Trip Chess Tournament is held, & $700 is donated to the Don Bosco Orphanage in Leon, Mexico. Rotary Club of Barrington, Harris Bank and Alexian Brothers Hospital Network donated money in order to make this trip possible. For the second year an International Chess Camp was held at Barrington High School from June 20 to 25, 2005. A donation of $150 was made to the Adult Literacy Center in Barrington. GM Yury Shulman will relocate his “ Yury Shulman International Chess School” from New York to Barrington. This will ensure continuity of the chess programs, which have been prospering in Barrington. From 1998 the number of students participating in chess programs rose from two to over 300 students approximately. Global Outreach Program is launched where any chess student or a community member can donate a few chess sets to an impoverished school anywhere in the world to start a chess school. Stephan Wulff a BHS alum was given 10 chess sets worth $120 to start a chess club for American Indians in a remote area in Chile in June 2005. June 2005 Barrington Chess Mexican Trip is featured in the National Chess Magazine called “ Chess Life. 2005 BHS students win national tournaments. Rishi Sethi wins 1st place at the Western Open in Milwakee, Ben Wang and Elliot Wu win at the Chicago Open. Each of these 3 students wins prize money. BHS member Rishi Sethi donates a chess set worth $12 to the Head Forest ranger Mr. Mohammed Abdullah at the National Orangutan Forest Preserve in Borneo for developing their chess skills. Mr. Abdullah said chess was popular amongst the rangers as it kept them mentally stimulated and helped them learn independently. BHS student Rishi Sethi wins 6th place in the highest division at the National Chess Tournament for juniors in Kuala Lumpur, Malaysia. BARRINGTON CHESS PROGRAM IS THE WINNER OF THE GOVERNOR’S AWARD FOR 2005. Over 10,000 hours of volunteering done by 300 volunteers. The 2nd Alexian Brothers Hospital Chess Tournament held. 60 chess students competed in the tournament with 10 students volunteering as assistant tournament directors. 100 $ donated to the Food Resource bank benefiting World Hunger. BHS student Rishi Sethi was the Head Tournament Director with BHS Chess Club students volunteering as Assistant TD’s. GM Shulman volunteers with Rishi Sethi and other chess students for teacher John Buky in Lloyd School in Chicago. Yury Shulman Simultaneous Tournament held at BHS to benefit Hurricane Katrina victims. All proceeds went to the American Red Cross. $ 100 donated. District 220 Elementary Schools, Middle Schools and High School begin chess programs with GM Shulman. Grandmaster Shulman joined his students to continue the tradition of volunteering. He volunteered 9 to 12 on Sat Oct 1st at Lloyd School in Chicago. District 220 students and Lloyd school will work together to develop a relationship through chess. David Jewell and Grandma Jewell launch a book drive for Lloyd School in Chicago. David Jewell, a 4th Grader from Dist 220 chess club and his grandmother attended the Sat Chess Program at Lloyd School and David was shocked to learn that his new friends at Lloyd have no books at home. David returned to Barrington and served as an ambassador for a book drive collecting books for every student at Lloyd School. Mr Jeff Doles and 9 other students are hosted for an awards banquet at Springfield where the Barrington Chess Program is the finalist for the Governor’s award. The Judges gave the program full marks for its combination of education with social and global programs. Nov 19th a Grandmaster’s Cup Chess Tournament is held at BHS and 30 students from Lloyd School in Chicago was invited with all expenses paid to play in the tournament. Alexian Brothers Hospital Network, Bertacchi Builders and Nexus Office Systems donated money for trophies. $ 1000 donated from chess clubs for transportation and entry fee for Lloyd students to play in Barrington. GM Shulman competes in the World Chess Championships held in Siberia, Russia. He took 16th place and the chess community was thrilled to see their teacher do so well in Siberia. Dec 10th 2005. Barrington Chess Program and GM Yury Shulman deliver 1500 books to each student at Lloyd School through the book drive conducted by David Jewell and his Grandma. Ms Cotton, Chess Coach from the South side in Chicago hears about our program and she brings her students to Lloyd School to meet GM Shulman. BHS student Rishi Sethi wins the North American Open Chess Tournament in Las Vegas in Dec 2005. BHS Chess Team is the MSL Champion for the 3rd year. BHS Chess Team places 8th at Illinois State Chess Championship out of 125 teams. BJ Armstrong of the former Chicago Bulls joins Barrington Chess as a volunteer to host the BJ Armstrong Yury Shulman Chess Tournament. Metcalfe Students from Chicago will be guests at the tournament. Donation of 100$ made to SOTEC in India. A book drive is launched by Barrington Chess Clubs to collect gently used books for Metcalfe students. Students from each elementary school take on leadership roles to begin collecting books. The Daily Herald Sunday Newspaper has a headline featuring GM Shulman and Chess. The article is enclosed with documents provided for review. Roslyn School enlists High School volunteers to introduce chess. GM Shulman volunteers with his students at Roslyn School. Barrington Area Library invites GM Shulman and Barrington Chess to organize a chess program in partnership with the library. GM Shulman becomes Vice Champion of US at the US Chess Championship held in San Diego. The chess community held their breath as they watched their teacher lose the last championship match. Rishi Sethi, a junior at BHS is invited to play in the Denker Tournament for HS Champions. The top 15 HS Chess players compete to be the Illinois nominee for the national Tournament. GM Shulman is awarded a President’s Volunteer Award for his volunteer work of over 100 hours last year with his students. Women’s US Chess Champion , GM Anna Zatonski visits North Barrington Elementary School. Grove Avenue Tournament held for District 220 Elementary School. $ 100 donated to Adult Literacy Program. GM Shulman is selected to be the Coach for the US Women’s Chess Team at the Olympics in Italy to be held May 2006. Fifteen District 220 chess students and 5 parents with GM Shulman visit Metcalfe School to deliver 2000 books and learn chess together. 10 students and 4 parents volunteer. June 18th – 25th 2006 Summer Chess Camp held at BHS with 4 Grandmasters teaching at the camp. Donation of approximately $200 donation made in form of chess sets and chess lessons made to the Warne Orphanage in Bareilly, India from proceeds of the camp. 2 students were awarded scholarships to study free of charge at the camp. June 25th 2006 to July 17th 2006 chess volunteers under the leadership of Rishi Sethi established a chess program at the Warne Babyfold in Bareilly, India. Chess sets and chess lessons were provided by donations from Bathhaus, a local business in Barrington and the Yury Shulman Chess School. A meal was also provided to the residents of the orphanage on the 15th of July. 10 volunteers provided over 100 hours of service to the orphanage. $ 200 donated. GM Shulman is the winner of the US Open Chess Tournament. CPS requests a presentation of the Barrington Chess Program at 3 schools in Chicago on Sept 15th 2006. GM Shulman and 10 volunteers spend time teaching in the Chicago Schools. GM Shulman and 10 chess students volunteer at the Grove Carnival on Sept 17th. Book Drive started for Avondale School in Chicago. BARRINGTON CHESS PROGRAM AND YURY SHULMAN CHESS SCHOOL WIN THE GOVERNOR’S AWARD FOR 2006. Over 20,000 hours of documented volunteer hours done by 500 diverse group of volunteers. Countryside School Chess Tournament held on the 9th of Nov. A portion of the profits benefits Asha – a non-profit program for children of slums in Delhi, India and money given for support of families from Woodland school. $ 200 donated to Asha. Nov 10th Yury Shulman and Alex Onishuk visit Avondale School to deliver 1000’s of books collected over 4 months from chess clubs. Barrington Area Library Family chess program introduces GM Shulman to the Barrington community on Nov 12th 2006. GM Shulman and Rishi Sethi volunteer to teach chess to area families. $ 100 worth of chess sets donated for the library chess program. Barrington Chess and Yury Shulman purchase a sheep from Heifer for a donation to a family in need. $ 500 donated for a sheep from Heifer. Yury Shulman Chess School introduces a program at Sunny Hill Elementary School sponsored by Rose and Countryside Schools and Harris Bank. $ 1000 donated to launch a chess club at Sunny Hill School. Chess Coach Program launched for students who have been attending the Yury Shulman School for a year. This will serve to reinforce learning as students teach neighbors and senior citizens in their neighborhoods. BHS Chess Team is MSL Champion for the 4th year in a row. Lead article in JAMA Cognitive Benefits of Chess: A groundbreaking study completed by Penn State researchers reports that intense cognitive exercises like chess can help Seniors maintain higher levels of cognition and function better in their daily lives. It is the lead article in Neurology Today (www.neurotodayonline.com). Book drive for Pablo Casals Elementary located at 3501 West Potomac Avenue, Chicago, IL 60651. Student Leaders assigned at each school for collecting books. Indykids a National Children’s newspaper invites GM Shulman students to contribute their games and comments for a regular chess column. Chess Volunteer trip to Berlin scheduled for spring break at Neukoelln School in East Berlin, which serves underprivileged immigrants and delinquent German boys. The chess group will teach chess daily every morning in the chess club at the school under the direction of James Redfield a Fulbright Scholar. Chess program honored by Prudential Spirit of Community Awards, which selected Rishi Sethi as the top innovative High School, volunteer for Illinois 2007. US News and World Report selected Rishi Sethi as its 10,000 $ recipient for a scholarship based on his academic work, community service and the chess program. GM Shulman competes in the US Championship. Chess students in Barrington watch anxiously as their coach plays in the tournament. Book Drive visit to Pablo Casals School. 10 students volunteer to deliver books and teach chess with GM Shulman. Kristin Sheyka from Countryside is the speaker at the assembly. Chess exhibition held by chess volunteers and GM Shulman at Grove Carnival in Sept. Grant Wagner and other chess students volunteer with GM Shulman. Chess Photography Exhibit held at Akina’s Restaurant in Elgin. BHS Chess Team members are MSL Champions for the 5th straight year in a row. World Champion Anatoly Karpov’s visit to District 220 Rose elementary school arranged for Jan 11th 2008. Karpov has problems getting into the country so the Jan 11th event is held with Women’s World Champion Susan Polgar and is an enormous success with 58 players competing. Proceeds from food and beverages benefited the Women’s Cooperative in the Dominican Republic. $ 100 donated in cash but ALL the Grandmasters including World Woman’s Champion, GM Alex Onishuk and GM Shulman donate time along with 15 students. Sunny Hill Elementary School chess club begins Feb 21st 08. This was made possible from a portion of the proceeds of the textbook and efforts of the volunteers. Donation of $250 donation made by Arlington Lexus for Sunny Hill is matched by Yury Shulman Chess School to bring a chess program to Sunny Hill School. Dr Thomas Uiijeva donates $ 200 for chess textbooks to be distributed to needy schools. World famous researcher Dr Jane Goodall honors youth service programs from The Yury Shulman Chess Without Borders by inviting them to a special reception to the Botanical Gardens to congratulate them for their humanitarian work. Rishi Sethi is a Finalist for the Harris Wofford Award. Project Leaders Jack and Joe Schmidt volunteer to raise funds to bring chess to Sudan. Barrington residents visiting Sudan in Feb of 2008 will deliver the chess sets. Scholarships worth $1000 provided to needy gifted students. July Summer Chess Camp held at BHS. $ 100 donated to local animal shelter. Chess without Borders delegation invited to the UN Youth Assembly. Four students attend the Youth UN Assembly in NY. St Matthew’s Chess Tournament held in Hawthorn Woods. $ 500 donated to Comfort Dog Charity that uses a dog as therapy for families in need. $ 100 donated to Michael and Joseph Foundation, which provide transitional housing for families in need. Ryan Vranek earned a Certified Chess Coach Award. He is the leader for a Project where he teaches chess at Plymouth Place, a Senior Living facility in LaGrange, and has donated chess sets for some of the residents to practice chess during the week. Hough Street School chess club donates $ 200 to Govindpura Slum Chess Club in India. Varun Putcha from Quest Academy donates $ 100 for donating the chess textbook and chess sets to needy schools where he will establish chess clubs with his grandparents while on vacation. District 220 alum Nina Sethi requests help for medical treatment for Meher, a 4 year old girl living in Govindpuri slums where the chess clubs have donated chess supplies to start a chess club. Meher was severely burned and is disfigured as well as unable to use her hands from contractures, which developed following her burns. Roslyn School Chess Tournament raised $1500 for Meher. Aleyra Medispa, Bertacchi Builders, Wool Street Grill, Checkmate Chess Supplies and Hough Street Chess Club donate $2000 for her treatment. Total amount raised is $3650, which was donated to Project Why for Meher’s surgery. Dr Khazanchi, a plastic surgeon in India hears about the fundraising work of chess clubs and he is inspired to volunteer his services too. He will operate on Meher to correct her deformities. Drs Sethi, Mr Brian Gruber and Teacher Maggie Gruber travel to India to visit Meher and arrange details for her medical treatment. Brian Gruber will record a documentary of the unusual humanitarian efforts of the chess clubs. Several chess sets and clocks are donated to the Govindpuri slum chess club worth $500. BHS Chess Team wins 5th place at the Illinois State tournament. Zack Kasiurak is the State Champion. Berlin Metropolitan School donates 700 euro for Meher’s surgery and joins Chess without Borders in the Project for helping Meher. GM Shulman is invited to be a host at Supernationals in Nashville, Tennesesse. GM Shulman and Chess Without Borders win $500 from Y1039 for their humanitarian work. Quest Chess Tournament held at Quest Academy. Chess without Borders donates food to the Food Pantry in Barrington. Hough School Chess Tournament successful with $3372.30 donated to project Why for Meher’s surgery and Rehabilitation. A Community member donated $25 towards the project. Totaling the donation from Barrington to $7047.30. BHS Chess camp held for 70 students. Scholarships worth $1000 given to gifted students from the Warren Chess program. CWB students donated books to the Larkin Center in Elgin. Project Leader was Marjorie Browne and she will be contacting her school in the coming year to gather more donations for the Larkin Center, which is home to mentally, physically and sexually abused children. Roslyn Chess Club hosts Bishop Atem from Sudan who will be starting a chess club at a community center in Southern Sudan. St Matthews Chess tournament held at St Matthew’s Church in Hawthorn Woods. $400 donated to St Matthew’s Church towards providing an elevator for handicapped visitors. Money from food sales was donated to the Boys Scouts Troop. Over 10 volunteers helped to make this tournament a success including Joan Eickelberg who volunteers on a wheel chair. Welcome to Mr Ed Tan a recent University of Michigan Graduate student who will be volunteering with CWB. $1000 donated to Omprakash Foundation from textbook sales for our project for Meher’s surgery. Yury Shulman’s Chess Without Borders is selected as the top 40 Finalists for the Chicago Innovation Award. Gm Shulman and Rishi Sethi are invited to a reception at the Innovation Center in Chicago to honor the Nominees. Donated 500 books to the veterans program collected through Chess Without Borders. A local individual for the MacArthur Grant nominates CWB because he was impressed with the organization after meeting CWB representatives at the Innovation Awards in September. Grove Avenue Chess Tournament is held and $ 180 donated to chess center in Sudan and $150 donated for Meher’s last surgery. GM Shulman as part of the 5 members US Team wins a silver medal at the World Team Championships in Turkey. Volunteer Appreciation party held at GM Shulman’s home. Project Haiti being run by Rose School students Kyle Shuff and Rishi Narayanan. Barbara Rose Chess Tournament had 120 participants. $ 410 donated to American Red Cross. 1200 volunteer hours provided by 10 volunteers at the tournament. Return visit to the Govindpuri slum schools to see Meher. She now has use of both her hands and correction of some deformity of her face. Donation of $500 made for 2 new computers and mats for the schools as the children sit on the mats during school. CWB students invited to present work with Meher at the Flower and Garden Show at Navy Pier on March 12th 2010. 5 students and GM Shulman volunteer to do the presentation. The coordinator of the project was impressed and invited the students to do a workshop at the Regional Summit on May 8th. Explaining this work. to experience learning from GM Shulman and compete in a friendly match. 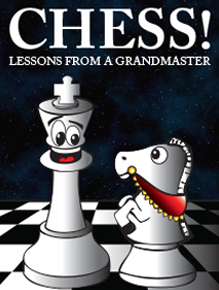 100% of the proceeds are donated to charity and the chess world joins millions of volunteers around the world to serve and make a difference in the world. $2400 was raised. A textbook and chess sets donated to US Marine Steven Chartier. 20 chess students and their families are invited to the Field Museum in Chicago to present their humanitarian work over the last year for burn victim Meher. North Barrington Chess Tournament held. $401 donated to the Kocol family whose home burned down. Tatjiana Franklin was the Project Leader. Twenty parent and student volunteers donated over 1000 hours. Scholarships worth $1000 provided to needy students. Summer Intern Sujit Johnston volunteers 50 hours through Chess Without Borders. His responsibilities are varied and range from teaching chess at the Rehabilitation Center weekly to acting as an Assistant tournament Director. Article appears in the Daily Herald and USCF web site about the collaboration between chess and mental health through Chess Without Borders. Chess Without Borders is featured on the Alexian Brothers Center for Mental health web site. donated for a local charity from a portion of the proceeds of the tournament. Food sales $330 also donated to charity. The students at the tournament were honored to have 9-year-old Robert Said and his father Marwan Said from Amman, Jordan visit in order to plan a chess club in his school in Amman, Jordan. Photography Exhibit held at Hough Street School titled “The Art of Philanthropy through Chess” $10 donated by a visitor at the exhibit. Grove Avenue Chess Tournament was held on Oct 23rd 2010 with 105 players competing and over 200 visitors. $390 was raised through food sales and $200 from these funds will be donated to Heifer and $190 to the Sunny Hill Chess Club. Barbara Rose Chess Tournament held on Dec 11th 2010 raising $640 for charity through food sales. Over 10 volunteers donated time, food items and services making it possible to donate $100 to the World Food Program and $540 to the Barrington Food Pantry. Project Leaders Holly Shuff and Nina Ray presented the checks. Barrington Area Lib Home School Program begins at a discounted rate for 8 sessions. Sunny Hill Chess Club sponsored by Sunny Hill PTO and Chess Without Borders. Total cost $1200 for a 10-week session. Ten volunteers donate their time. On Jan 29th a tournament was held at Countryside School. A total of 98 students participated raising $565 through food sales. 10 students and adults volunteered to help raise funds. $300 was donated to CFC and $200 donated to Roots and Shoots. Screening held at GSH with over 20 volunteers and 20 students who were hosts for the event. 67 people attended the event. Jessica Ridgway receives $2000 in scholarship for creative volunteer work done for Meher. Joseph Ridgway receives Presidential Volunteer Service Award for his service as a chess coach at St Matthew’s Chess Club and chess photography. 95 students competed raising $281 for scholarships for chess camps with 20 volunteers helping in food sales and the tournament. Sujit Johnston awarded $1000 for Kohl’s scholarship with a chance to win $9000 nationally. Two summer chess camps held with 120 students attending and $1000 donated in scholarships. $65,392 + $1000 = $ 66,092 including $25,961 for Meher. The Phelps Center for Gifted Education will use the curriculum provided through the textbooks for their chess program. $721 raised for charitable programs donated to St Matthews Church and Boy Scouts programs. Volunteer Virginia Golembiewski raises $300 towards a computer at the Project Why school in India. 119 registered players with 15 volunteers raised $375 for Smile Train. 100 players and their families helped us raise $600 for charity. Twenty volunteers served food. Alex Menikoff donated $10 from his pocket money for Meher. Including $25,961+ $10 for Meher. $325 donated by Hough Street School fund raiser. Elgin Academy CT held at Elgin Academy. 100 players competed raising over $300 for educational programs at EA. Barrington Courier covered the story on the cover and the documentary was updated. Quest Academy Chess Tournament. 100 players competed with $300 in funds raised for Quest Academy Cubs Scouts by the Helminski family . $300 donated for creating a technology center in the Govindpuri slum school through Project Why. Recent volunteer Sujit Johnston also donated $100 towards the center. 90 students participated raising $490 for a local Illinois Charity. 20 volunteers donated time and effort. Barrington Area Library is displaying 3 cases of information about Chess Without Borders for the entire month. 130 students compete at the Grove Avenue Chess Tournament raising $750 for donation to the Maggie Gruber Chess Center for the school in the Govindpuri slum children. 10 volunteers work a total of 100 hours to make this possible. St Matthew’s Chess Tournament donates $500 for an elevator for handicapped and also raises around $500 through food sales for the church. Over 10 volunteers make this happen. CWB donates $1000 for starting a chess club at Sunny Hill School for Title 1 students. Feb 2nd 2013 Sunny Hill Chess Tournament raises $500 for chess supplies for Sunny Hill Chess Club. 10 volunteers donate 100 hours of service. Volunteer Varun Pareikh markets CWB projects to the BHS Student Council raising $500 for the computer center at Project Why. The student council screened the documentary "A Future for Meher" and the 86 members voted unanimously to donate $500 towards the project. Nadine Said a junior at BHS raised funds for the computer center through another creative project. She hosted documentary screenings of “A Future for Meher” in her home in Jordan and sold DVD’s raising $180. 62 students competed at a USCF rated tournament. 6 youth and 10 adult volunteers worked 200 hours together raising $325 for the Children of Uganda musical tour in the US. 91 players participated raising $400 from food sales. Ten volunteers served to donate money for scholarships for sending students to Nationals. 70 students participated to raise around $700 for local charities. Over 15 volunteers donated their services excluding Joan and Henry Eickelbergs who worked many hours to make it an enormous success. Chess student Aadit Bennur donated $25 for project Meher during this holiday season. Dr Ujiva donates $1000 for education programs. Elgin Academy Chess Tournament held with 73 players participating. Raised $600 for GM Igor Novikov as he was a teacher at several summer camps and he has lost his home in Eastern Ukraine. 138 players and 15 volunteers raised $6886.75 through registered players, food sold and raffle. A documentary on the project done by 15 students was entered in the White House Film Festival and the project was selected as a National Honor Project. May 15th PVSA winners hosted " An Evening in Jordan"
Fundraiser for Tornado victims of S. IL. 90 people attended with $1700 raised with 15 volunteers collaborating with Salem UMC. Documentaries produced about the humanitarian work accomplished by CWB. More Chess textbooks 4 and sets donated to South Sudan chess center in Renk, South Sudan. Visit by Ethan Gagliano and Jack Bobjioro to speak to residents. volunteer Stephen Zhu), Riveredge Psychiatric Hospital (Teacher Peter Wulff), 10 chess sets and 10 textbooks donated to 2 Sunny Hill chess students who taught chess in Uganda through volunteer Divine Mugerwa and Danila, 20 Chess sets and 10 textbooks donated to Refuge camps in Jordan for children of Syrian refuges and 10 chess sets and 10 books donated to an educational program for children of migrants at Ann Arbor Methodist Church in Saline, Ann Arbor. Grove Avenue Chess Tournament raised $468 towards sponsoring an x prisoner Christmas luncheon in Chicago. Quest Academy Tournament raised $286 for School in Madurai, India that educates children of refuges.